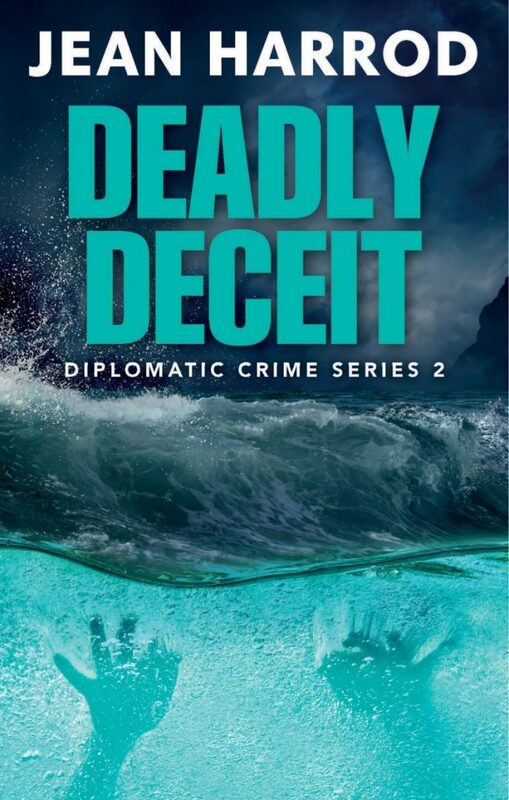 Deadly Deceit, by Jean Harrod, a former British diplomat, is the second book in the Diplomatic Crime Series, is a fast-paced, exciting and a thrilling novel filled with secrets and murder! Deadly Deceit sees British diplomat Jess Turner return for a new assignment. In Deadly Deceit she is sent to the Governor’s Office on the tiny tropical Caribbean islands of Turks and Caicos. She is there covering for a colleague. When the governor is critically injured in a car crash and a gruesome murder occurs, the peace and tranquillity of the islands becomes a strain. But there is more going on and Jess has stumbled on to an island filled with secrets, lies, distrust, illegal immigration, voodoo, suicide, murder and cover ups. This will eventually create problems for the islands, but also for the UK government back in London. Jess’s friend, Australian detective DI Tom Sangster, is in Miami on a fact-finding mission to see how other governments deal with the worldwide problem of illegal immigration and people smuggling. When he observes Jess in Miami airport on her way to the Turks and Caicos he sends her an email requesting to visit. He arrives on the islands amidst the chaos and he is soon involved in Jess’s case, investigating the murder (for which he has authority to do) and soon discovers some disturbing information about what is occurring on the British Oversees Territory. If the problems they have encountered so far, more are to come in the form of a hurricane! This will see them fighting for their lives, in more ways than one. Overall, this book really surprised me. I love thrillers but don’t normally read diplomatic or political ones, but after reading the first book in the series, Deadly Diplomacy, I was intrigued. Deadly Deceit is extremely well written. While the author clearly uses her experiences of being a diplomat, she has used her experience and knowledge well and has written a fast-paced, thrilling and extremely exciting story and a series that I see being a very big success, and am really enjoying. With strange things happening on the islands, islanders terrified but fearful of outsiders, attempted murder, brutal murder and cover ups this book has everything to thrill and keep you intrigued and doesn’t reveal its secrets until the very end. Although this is the second book in the Diplomatic Crime Series it can be read as a standalone novel without needing to know what happened in the first. If you want a decent and exciting thriller then I can highly recommend Deadly Deceit and look forward to reading more in this series. For more information on Jean Harrod and the Diplomatic Crime Series visit www.jeanharrod.com.